The Calendar of Virtues represents a year-round opportunity to practice Virtue Transitions while outer nature is going through analogous changes. Your inner practice will be reflected in the outer world which can strengthen your experience. PLEASE POST YOUR INSIGHTS IN THE COMMENTS SECTION BELOW. 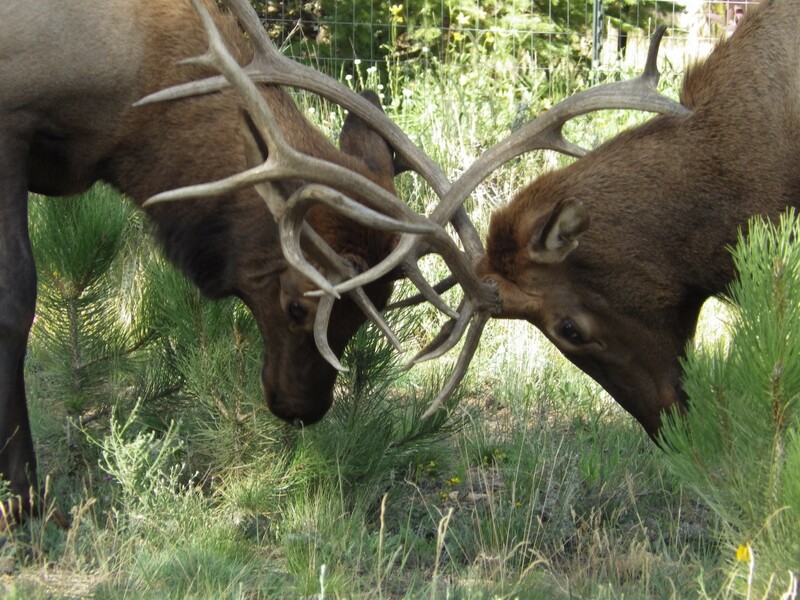 A Time of Testing - This last summer I watched two bull elk who were grazing near one another. At first it appeared that they were simply grazing and paying one another no mind. This was several weeks before the “rutting season” so there was no reason to believe that these bulls were doing anything but grazing. There were no elk cows nearby. Then, slowly, but without obvious sign (at least to this human observer) one bull turned a particular angle, lowered his head and suddenly “game on”! They moved slowly, but forcefully together and locked horns. They backed off and re-connected again. They pushed, twisted and struggled for a short time. Then, they went back to grazing placidly as if nothing happened. Such testing seemed like a “dress rehearsal” for the intensity of the competitive breeding which began in a few weeks. Even animals will “size up” a situation and use some sort of judgment to enter in or depart. I once invented a children’s toy called the “Wishing Star”. It was handmade and I test marketed them at a local Renaissance Faire before trying to sell them nationwide. I was discreet in my selling learning what people thought about the product, my selling price and so forth before risking my hard-earned funds on what could have been a risky endeavor. My small, well planned experiences helped me feel inwardly strong about my risk. Self-criticism or “second guessing” is a terrible thing to observe. Self-confidence, realistic assessment of self, is important. However, taking it too far and becoming arrogant can be dangerous. Not too far one way or the other is a discreet balance. I thought myself an adventurer in life, like a Walter Mitty, an H.H., or a Francis Macomber - but which? All things are possible for adventurers. I had heard about the old legends, read the old stories, studied the maps. My goal? Visit the legendary River of Life, especially my personal tributary. So, fully packed and loaded, machete in hand, I set off. All peoples and cultures speak of the River of Life and how the ancients of all civilizations were born on the banks of this vast and ever moving stream: Mekong, Amazon, Rhine, Mississippi, Congo, Yangzee, Yenisi, Danube, Nile, Tigres, Po, Limpopo, Euphrates, Ganges, Colorado and others are all a tributaries to this mighty flow. The River of Life is that mighty and powerful flow which nourishes all living things on earth in a physical and metaphorical sense. All rain on the planet which runs off into any watershed eventually arrives in one of the major rivers of the world and these all flow into the River of Life. And we, as peoples spread across the earth contribute to a flow of peoples, clans and families, in a cultural river of life which takes our individual accomplishments and combines them into the history of humanity. “If I saw this river,” I thought, “I would become enlightened about the unique contribution my family and I have made to the world.” That would be an adventure! How did my life affect the flow of the River of Life? I hoped to find the special point at which my gifts and contributions affected the rolling flow of life. “All of life?” I asked. I climbed into his canoe which had an outboard motor on it and we headed upstream. “Death?” I said. "Well, let's go upstream, okay?" My adventure and learning was beginning already. We pulled over to a small rivulet trickling over stones down a rocky bank to the River of Life. It was next to a wide flowing pretty good sized river and three other rivers. “Here you go.” He said as he beached the canoe. I got out. I looked at the robust, beautifully flowing stream with three mid-sized flows and the paltry flow over a gravel bed. “Is this MY RIVER?” I asked. “The larger one is your wife’s. Yours is the trickle.” He said pointing at the trickle over the gravel. “Mine seems a little shallow.” I said. “There must be a mistake.” I said, “I write a blog!" "Do you fancy your blog ‘thoughty’”, he asked. "I've got a Mystic Phase?" I was ecstatic. “My wife’s stream is so DIFFERENT.” I mused. “Wot’s she do?” he asked. He walked back to his canoe. “So, I’ll leave you to your adventure. Good luck. Go upstream – remember, upstream is opposite the way the water flows.” He hopped back into his canoe, gave me a wave, headed downstream and left me to my search for enlightenment. I wondered how long I’d have to splash through the trickle before I hit real rapids... if there any rapids. My Mystic Phase was making my memory a bit fuzzy. It still left me with the question: was I more like Walter Mitty, H.H. or Francis Macomber? 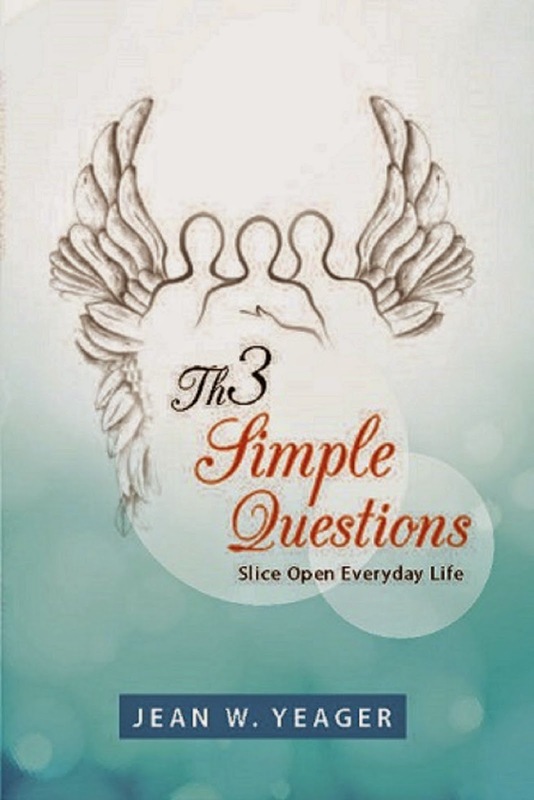 "Th3 Simple Questions: Slice Open Everyday Life"
In 1988 I moved my family from Dallas, Texas to Sussex, England so my wife and I could shift gears in our careers and also to help my 3 children become “citizens of the world” in addition to being Texans by birth. My wife studied artistic therapy based on Rudolf Steiner’s color and therapeutic insights while I studied Steiner’s Social Development insights and human phase development theory (Biography). During this year I studied with 30 other individuals from around the world: Germans, Dutch, Icelanders, Norwegians, Fins, Canadian, Spanish, Brits, Danes, Israeli, Serbs. The curricula was lecture and small-group intensives, art and social artistic exercises. For one year of powerful exploration of who I was. The second year I interned with staff, helped write a Total Quality Management (TQM) and worked as an Organizational Development consultant with non-profits and UK Governmental agencies. Third years was much of the same. In the middle of the first year, when I had turned my life upside down, and my diet radically changed (no Tex-Mex), and I was deep in self exploration, I had a remarkable dream – which is not an uncommon experience when you are on a path of total transformation. Here is my dream about Three Arabs In A Pontiac. I am hitchhiking on a deserted roadway. There are no remarkable features besides flat. It could have been west Texas, I don’t know. I am by myself walking and thumbing. A gold 1974 Pontiac begins approaching. I know it is a 1974 Pontiac because it is exactly like the car I bought from my wife’s very elderly grandfather so that the family could get Mr. Fisher to stop driving. The one I had was a “lemon” but this one appeared to be radiant. The gold shimmered in the heat off the roadway. I have my thumb out and they stop. It’s a 2-door. I can see there are three people in the car – the driver and two passengers in the back. I bend and ask for a ride. The driver nods affirmatively. I open the door and get in. I smile at the passengers – but I never get a good look at the passenger directly behind my seat. We start down the road. I angle myself on the seat to see the driver and the passenger in the back, the one I can see. They are all in white robes and white keffiyehs or gutras tied with black camel hair cords. They all wear dark sunglasses so I cannot see their eyes. The driver is a short and stocky man who resembles the Hollywood actor, Eli Wallach. I’m nervous about the guy behind me. I never see him. Here it was, the ultimate question for us all. At that moment, his question goes INTO me. I see him speak it, it comes out of his mouth and I watch it enter into my chest. As I am lying in my bed asleep, I actually FEEL the question enter my chest. I wake up. And, I feel the question inside me. I’m horrified. It is moving. It is as if my nice, neat, well ordered thoughts and feelings were carefully placed within me to support my being confident enough to move my entire family thousands of miles across the world to pursue MY dreams of self-transformation, of studying of new ideas, lofty ideals, virtues, capacities to work with social and organizational psychology. For the next two weeks, the Arab’s question pushed hard on my neatly ordered inner thoughts and feelings and decisions and made sure they all became disordered. My initial horror transformed into “dis-ease” but not illness. I physically could feel that question living within me – actually living. What the hell WAS I doing? The dream speeded up the process of change as a challenge frequently does. The question questioned everything, right down to my inner self. Clearly the symbolism of the dream is something that I have “gnawed on” (a phrase I have stolen from Nancy T.) over the years. But, I won’t even think about it as I don’t want to change it. It dream came and changed me. Who WERE these guys in the Pontiac? Were they Angelic agents? And, who was the one I never could see? Is he the future? It would have been wonderful if there was an answer for the question, but there really isn't. What the HELL AM I doing? Still. It’s still an active question. Not dead yet. And, as for the guy behind me, who I never see? Well, I think this a mystery, but one which brings the question into a quite different spiritual dimension.